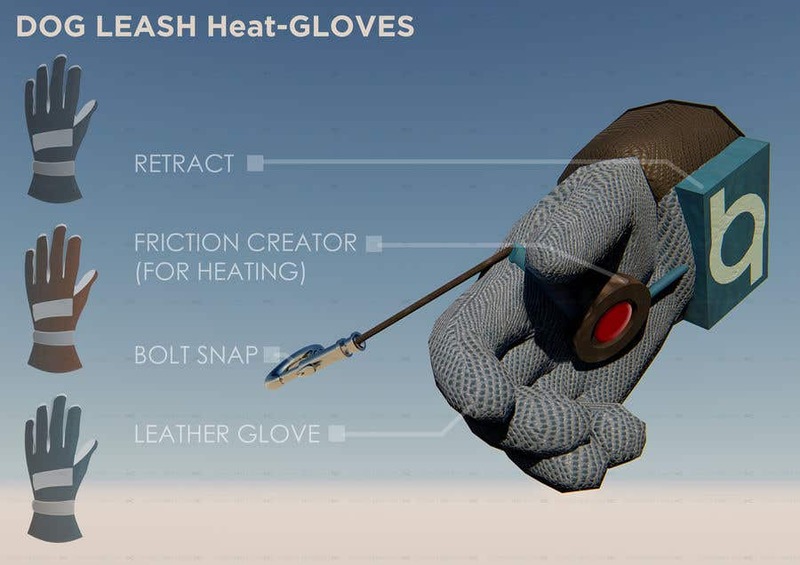 Dear Content Holder, This is a 3D Model Of a Glove You have asked. The Glove consists of the Winding Gear near the Wrist and the Retract button on the Palm. The Device under retract button rolls the Wire one time inside it which in continuous movement creates frictional effect causing some heat inside the gloves. Chat with me if you have any doubts regarding this. I am an architect and Im skilled in this field for 5+ Years. I would like to work with you on your further Projects.Hope You Like this Project. Thank You.